Provide comfort for the family of Angelina Scidurlo with a meaningful gesture of sympathy. 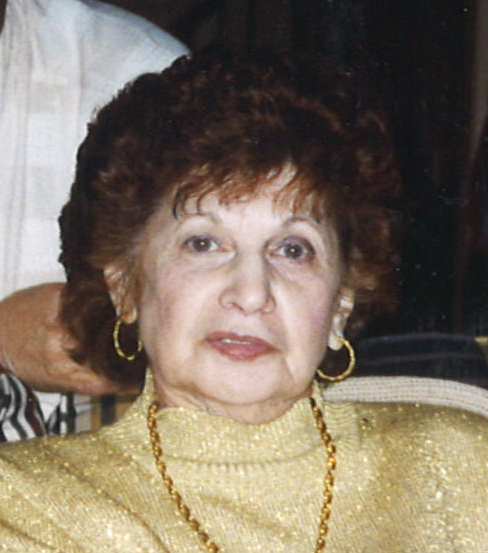 Scidurlo – Angelina (nee Pino), 94, on March 16, 2019. Beloved wife the of late Vincent J.; devoted mother of Joseph (Cille), Lorraine (Michael) Franco and the late Vincent. Loving grandmother of Lisa, Jaimie, Michael Vincent, Lauren and Justin; also 9 great grandchildren. Relatives and friends are invited to attend her viewing 9 AM and Funeral Mass 10 AM Wed. in Saint Richard’s Church, 18th & Pollock Sts. Interment Holy Cross Cemetery, Yeadon. To send flowers to the family of Angelina C. Scidurlo, please visit our Heartfelt Sympathies Store. We encourage you to share any memorable photos or stories about Angelina. All tributes placed on and purchased through this memorial website will remain on in perpetuity for generations. Provide comfort for the family of Angelina C. Scidurlo by sending flowers.